A project that emerged out of the true passion for the enchanting tango universe of its organizers, Timisoara Tango Festival has been for six years now one of the most important tango events of the country’s and region’s scenery. With main focus on high class tango salon, ever since its first edition every year renowned DJs and artists, European and World Tango Champions joined us to this event to our delight and inspiration. We are excited to welcome you to this year’s 6th edition and share, once again, with all you tango lovers an equally magical ambient in locations that will embrace us with charm and warmth, where the music will shine and our emotions will be captivated by fabulous Maestros and all our favorite DJs. and, also, on the event’s facebook page. Get ready to indulge your cravings for heartwarming embraces while mastering your Tango at Timisoara Tango Festival 2018! For our magical night milongas we stay loyal to our well known wooden floor in PARK PLACE. Located right in the heart of Timisoara, Park Place will embrace us with its charm & warmth. It’s up to us to create new sweet memories!!! Join us for memorable daily milongas in the cultural & concept space AMBASADA – artistic place with relaxed and colorful yet raw and edgy appearance with 100m2 wooden floor. The Cafe bistro offers numerous refreshments and tasty specialties to re-fuel. for centuries now one of the most important gateways to connect Europe’s eastern and western civilization, economy and cultures. Famous for its distinct architectural character, this charming city is home to year-round musical and theatrical performances, art galleries, museums and a buzzing nightlife. 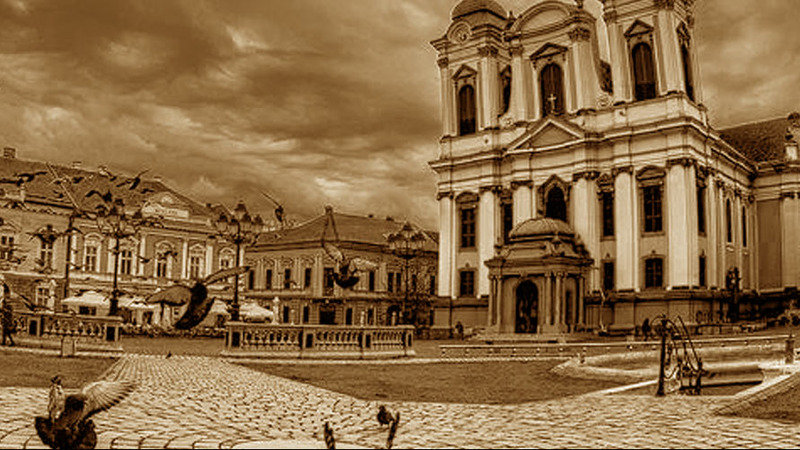 As such progressive, cosmopolitan place, Timisoara is the perfect place for our Tango Festival. Throughout time it has been fortress, citadel and, for almost a decade of the first half of the 14th century, even royal residence for King Charles Robert of Anjou. During the 18th century the city flourishes and because of its important history, rich art life and beautiful architecture becomes known as “The little Wien”. The first beer factory in Romania opened at Timisoara in the year 1718. The city is also known as “The City of Roses” on account of its generous and beautiful gardens and more than 1.200 species of roses growing in them, of which many may still be admired in the Roses Park. In 1884 it became the first city with electrical public illumination from the continental Europe, hence another name the city is known by is “The City of Lights”. Recently Timisoara was chosen to be European Capital of Culture for the year 2021. Bega canal, Roses Park, Botanical Park, The village Museum, Zoo gardens.